How can I create impressions in concrete using leaves or other natural objects? Collect leaves that are heavily textured with strong vein patterns. The more flexible/pliable the better. Until leaves are used, keep them in a baggie with water to keep them moist and pliable. 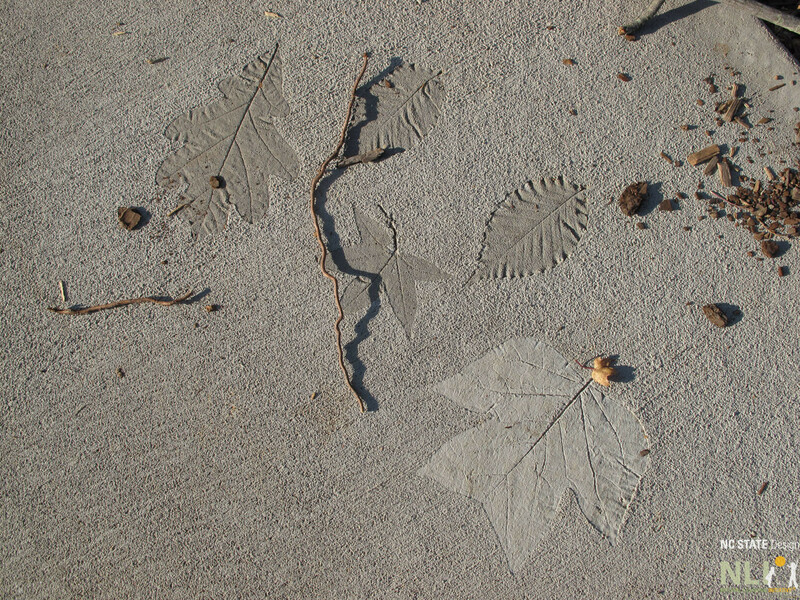 Place the flattened leaves onto the surface of the wet/uncured concrete. Use a trowel to gently press the leaves into the concrete. Remove leaves after approximately 45 min. or leave them in place until they deteriorate. Select leaves from trees or plants growing in or that will be planted in the outdoor learning environment. Go for a walk in the neighborhood, nearby park or other natural space with the children to collect leaves. Evergreen leaves (i.e. cedar) make an interesting, but deeper, imprint. Other natural objects, such as berries, small cones, feathers and shells, could also be used to make imprints. Rubber stamps are available, but natural materials are more meaningful, authentic, and less expensive. Make stepping stones to practice mixing concrete (follow the instructions on the bag) and making imprints with a half bag of concrete. After 45 minutes, the leaves are removed from the concrete pathway (step 4) at Friendly Avenue Christian Preschool. 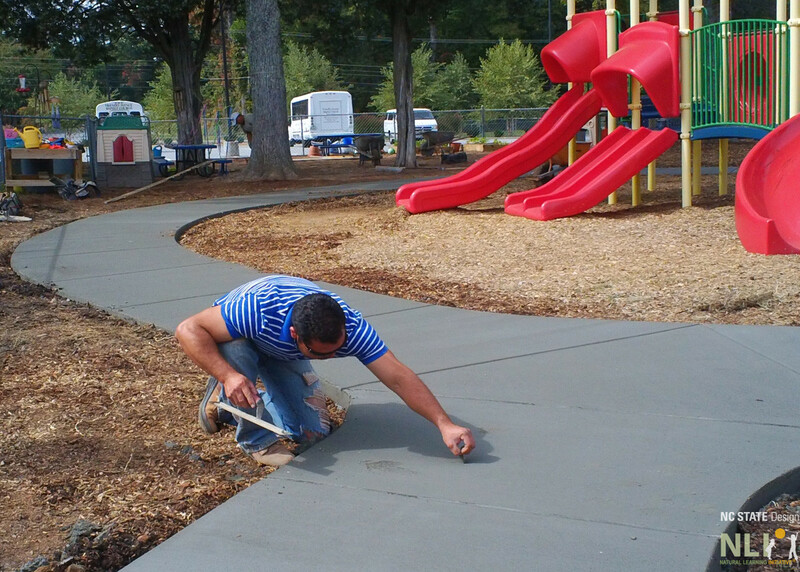 Sandy Johnson at Friendly Avenue Christian Preschool imprinted natural leaves into recently installed concrete paths. The contents of this post are derived from an interview with Sandy. Thanks Sandy!